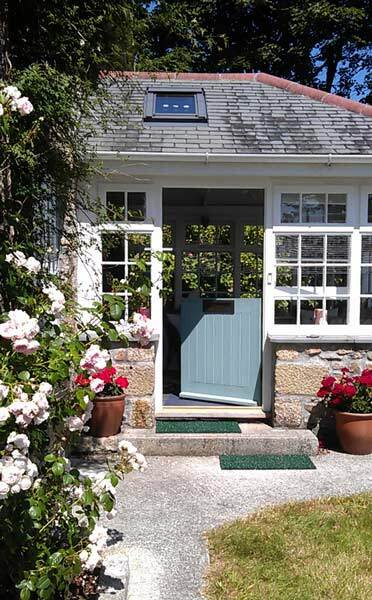 St Ives Bed and Breakfast - welcome ! 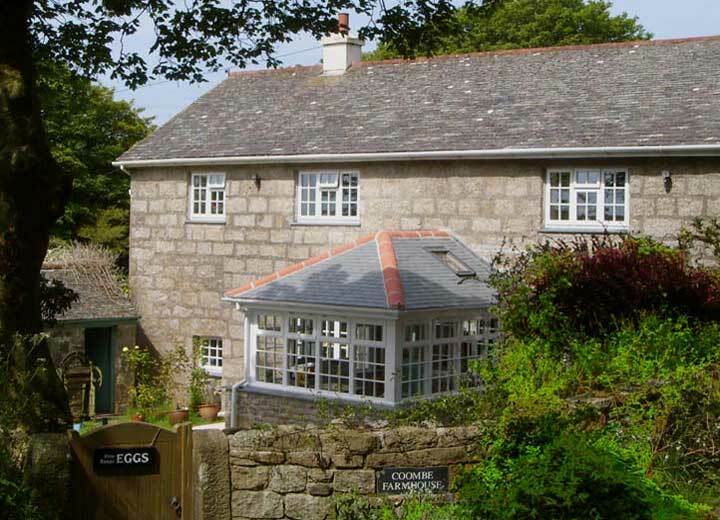 We are a family business, offering very special bed and breakfast for the discerning visitor. 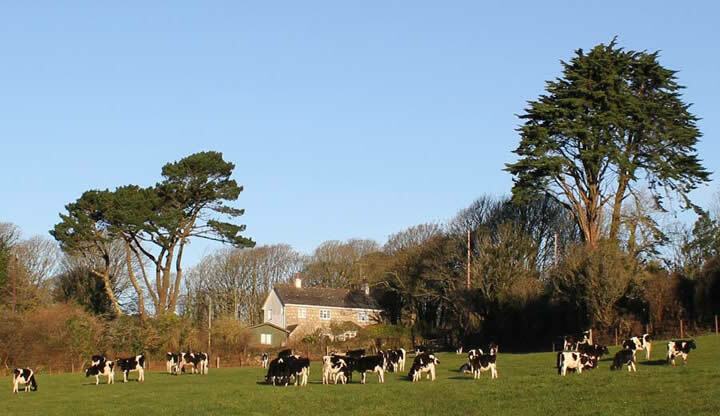 Coombe Farm House has fine accommodation and a friendly, informal atmosphere. 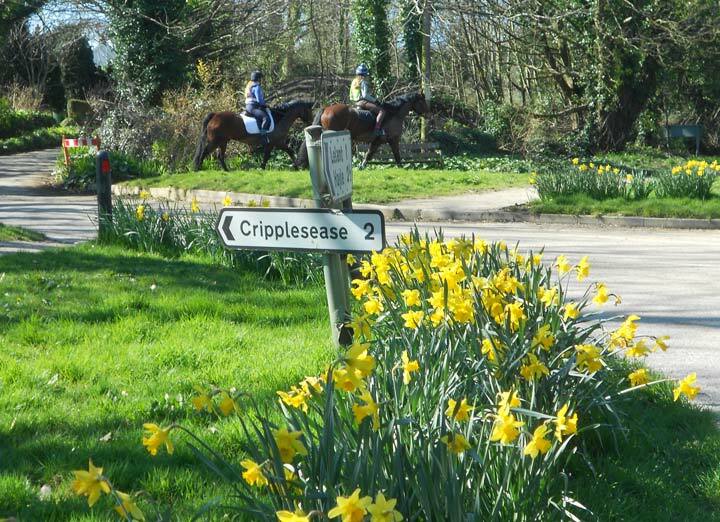 next to the National Trust's Trencrom Hill and only a very short drive from St Ives. Breakfast is served in the Old Dairy with views over the gardens. 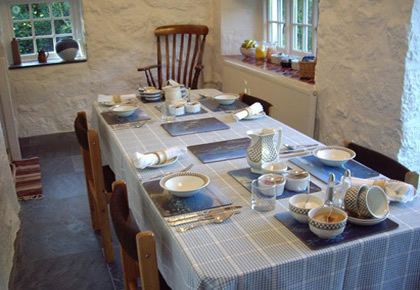 There is a choice of fruit juices, fresh fruit salad, cereals and home made bread or a Full Cornish breakfast cooked on the AGA. There is always an endless supply of tea or coffee ! We have twin rooms, double rooms and a single room. 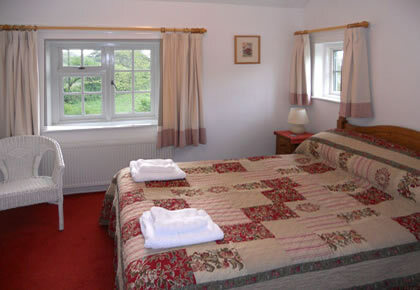 This double room has an ensuite shower room and views over the countryside.